The CW is about to get a whole lot more magical. Deadline reports the network is developing a Riverdale companion series about Sabrina the Teenage Witch. The CW‘s Sabrina series is expected to debut sometime during the 2018-2019 season. What do you think? Do you watch Riverdale? 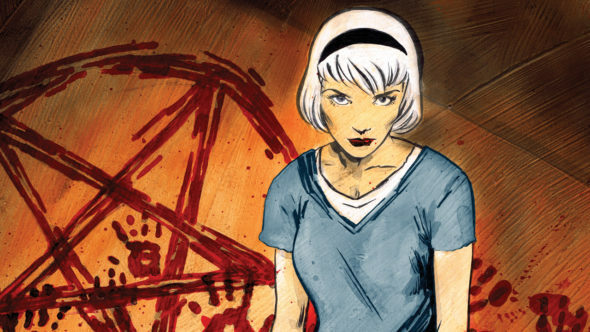 Would you watch The CW’s Sabrina series? More about: Riverdale, Riverdale: canceled or renewed?, Sabrina the Teenage Witch, Sabrina the Teenage Witch: canceled or renewed?, The CW TV shows: canceled or renewed? Riverdale: Could Zombies or Witches Take Over Season Two?